Learning a trade and becoming a professional who is ready is a great achievement and opens up a world of opportunities to make a name for yourself and, hopefully, a decent living too. Of course, having the skills is a vital prerequisite for success but you also need to have the right set of tools that will help you complete the job in hand to a professional standard. 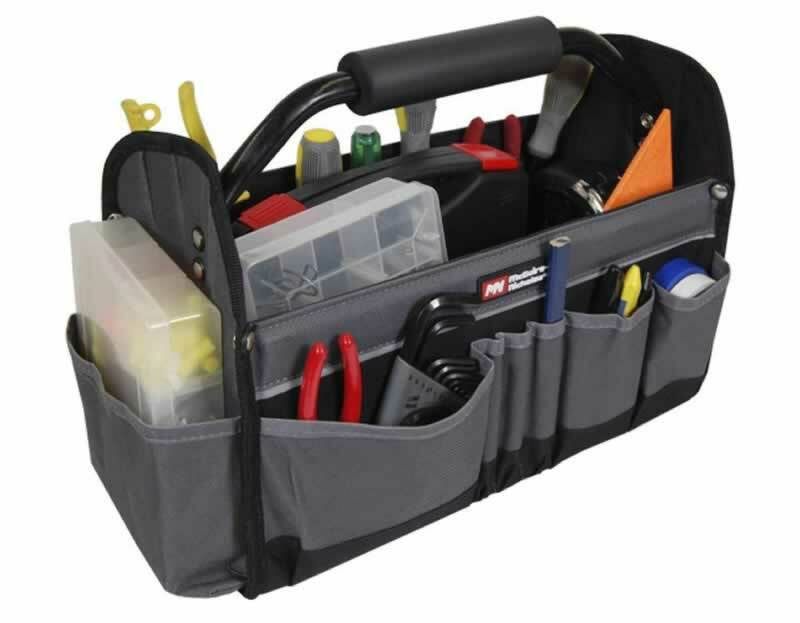 Here is a look at the sort of tools that are probably going to be vital to your work as a professional tradesman and you can learn more about how and why these tools need to be in your kit bag or the back of your truck. Any type of tool that makes your life easier is worth having and near the top of your shopping list should be a cordless drill, which has assumed the role as the item you don’t want to leave home without. Screwdrivers are quickly being consigned to history and you can see why when you can use your cordless to drill holes and take all the effort out of driving screws down, which can be done in seconds with this handy tool. Power tools are a big part of your armory these days as a professional tradesman but don’t forget the faithful claw hammer, which no serious work would be without on site. This multi-purpose tool is still as popular as it has ever been and even though you could buy a nail gun for speed, you wouldn’t be the first person to be very reluctant about the idea of retiring your claw hammer anytime soon. Not far behind the claw hammer in the popularity stakes is the good old-fashioned hand saw, which is a tool that everybody should own, and especially a professional tradesman. You might have to resort to a power saw every now and again but for everyday tasks, you need a hand saw in your toolbox. In addition to the essential hand saw it’s easy to make an argument for a hacksaw too. A hacksaw is so useful for tackling a multitude of different jobs and because you have interchangeable blades you should be able to cut through any type of material in next to no time. Next on the list of tradesman’s essential is the indispensable tape measure. You will want to invest in a decent tape measure that extends to at least five meters and it needs to be sturdy enough to hold a straight line while you take a note of the dimensions you are measuring. Almost regardless of what trade you are in you can’t really do without an adjustable spanner. The clue is in the name, as an adjustable spanner does the job of many different spanners because it can be easily adjusted to fit the right diameter. That means there is no need to lug a whole bag of spanners around as long as you have got an adjustable one at your disposal. However, you might want to consider investing in a couple of adjustable spanners as this will enable you to grip one in a static position while using the other spanner to rotate the nut being loosened, helping to stop the pipe turning as a result. 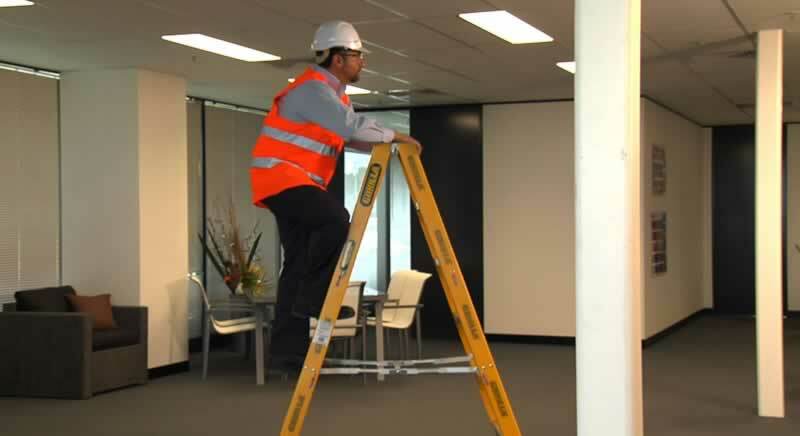 A step ladder has to be considered as an essential item on your equipment list and there will be countless times when you have to use your set of steps to reach or fix something. Aim to buy a good quality step ladder that is also lightweight so that it’s not a burden to carry it around between jobs. Once you have got the dimensions and drilled the holes you want to be able to do a final check that everything is level before tightening up the fixings. A humble spirit level is an essential tool and it would be a good idea to get a couple to deal with short and long levelling tasks without any problems. There are bound to be plenty of times when you are going to need to neaten things up with a bit of sealant or adhesive and the most efficient way of applying it is with a skeleton gun. It won’t cost you much to buy a decent skeleton gun but it will save you plenty of time and help you finish up to a professional standard. You definitely need a decent pair of pliers in your toolkit and the one to get first of all is a pair of combination pliers. This tool will be suitable for tackling a variety of different tasks and if you spend the right amount of money on a good quality pair you should find that cutting and stripping wires, bending metal, and a host of other jobs, will all be a breeze with a high-quality set of combination pliers in your hand. It is all very well having an array of power tools at your disposal but if you can’t plug them in because there isn’t a power source nearby they aren’t going to be a lot of good to you. That is why you should always have an extension cable on board, as it will give you access to a portable source of power in an instant. Go for a good quality version and look for an extension cable that gives you at least 50m reach and is made from 10 gauge contractors cord to ensure minimal voltage drop. You surely can’t consider yourself to be a fully tooled-up professional tradesman if you don’t have a retractable trimming knife tucked away in your pocket. The blade will get a regular workout each day when you need to do things like cut duct tape to size and even cut out some plasterboard, and the blades are quick and easy to replace too. If you accumulate most of the tools mentioned here you are well on the way to confirming your professional tradesman status by what you are bringing with you to the job.